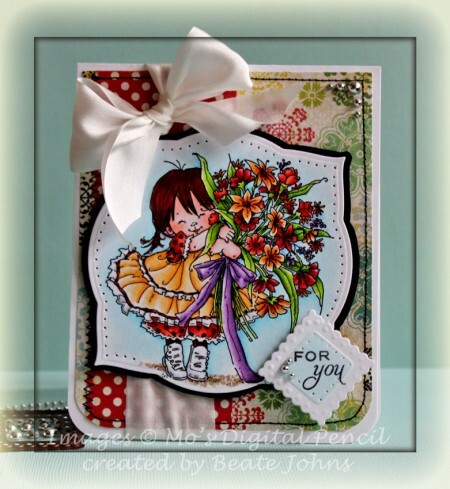 Video Tutorial on SCS – 2, 5, 7, 10 Box Happy Birthday, Jan Marie! This is absolutely adorable! The colors are so rich and vibrant! I really like the lacey nestabilities… a must have! Awww, she’s so cute!! Adorable card! Your coloring is just gorgeous! OK – this is darling. LOVE the coloring! Such a beautiful, sweet, happy card! I love it! Whoa…that is some fabulous detail coloring there, Beate!! Your card is so adorable, and I love your pierced bordering!! Such a gorgeous bow too!! wow! absolutely amazing coloring, Beate!! such a beautiful card. love love it! 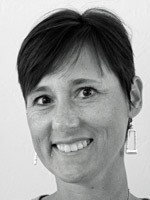 You gotta’ love Mo’s designs and of course, you sure know how to bring them to life, Beate. This little card is just the sweetest little thing. Very Pretty! I love the colors! This is soooo cute! Your coloring is wonderful! I love how bright and fun this is! Oh, my goodness, this is so adorable, Beate! What a cute image and beautifully colored as always! Beate, your coloring is stunning! Can I ask you what brand and model of printer you bought?! This is just FABULOUS!! Love it!! Oh my it feels like summer is coming! Sweet stamp. Great coloring. I must stop repeating myself, but what can one do with such fantastic coloring! This is so cute! Brings a smile to my face and dreams of spring! I can see how ready you are for spring with all these fun bright colors! What a charming cutie and so beautifully colored, LOVE this card! I am happy I found your website on twitter. It’s good to see such information being shared.